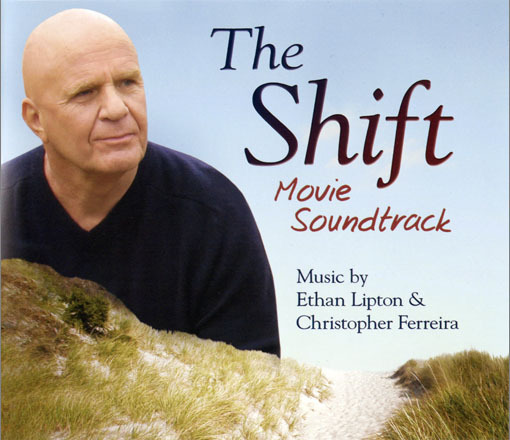 This is the music soundtrack behind the film The Shift, starring Dr. Wayne W. Dyer. It features Christopher Ferreira’s original musical score for the film plus songs by Ethan Lipton and his Orchestra which were featured in the film.The film and the soundtrack were released by Hay House in 2009. Please enjoy these sample selections from the soundtrack. Tracks 1,2,4,6,7,8,11 and 12 Produced, edited, composed and performed by Christopher Ferreira. Piano and keyboard recording/mixing took place October 13-16 2008 at Tiny Telephone Studio in San Francisco, CA. Tracks 3,5,9,10 and 13 produced, written, and performed by Ethan Lipton & his Orchestra.